The Euro (EUR) has advanced against the Pound (GBP) today, trading at a level of £0.8911. This appreciation comes mainly because of GBP trader uncertainty over Brexit, which has driven up demand for the more stable Euro. Looking ahead, however, the single currency could drop against the Pound next week when German industrial data comes out over Monday and Tuesday. First up will be Monday’s German factory orders reading for June, which is expected to show a decline from 2.6% to -0.1%. Potential adding to any uncertainty caused by this data, Tuesday’s industrial production reading for June is also expected to fall from 2.6% to -0.5%. Both results could drain Euro trader confidence early next week, as they would suggest a slowdown in a key part of the German economy. As the single largest economy in the Eurozone, Germany’s economic health is often seen as an indicator of overall Eurozone stability. Any implication of a slowdown could rattle Euro traders and cause EUR/GBP exchange rate losses. Among other negative implications, such an outcome would lessen the chances of an early 2019 European Central Bank (ECB) interest rate hike. GBP/EUR Exchange Rate Forecast: Can Pound Sterling Advance on GDP Growth Data? 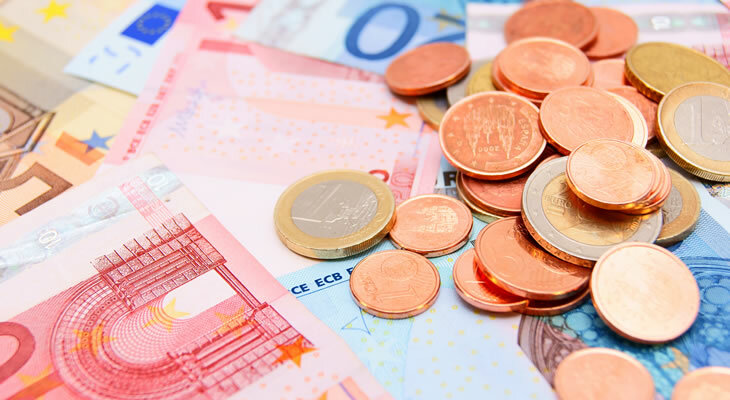 The Pound (GBP) may have struggled in trading against the Euro (EUR) this week, but there is a chance for a GBP/EUR exchange rate recovery on next week’s GDP data. Out on Friday, preliminary GDP growth readings for Q2 2018 are expected to show a faster pace of growth on the quarter and the year. Although these would only be initial estimates for the GDP growth reading, they could still boost demand for the Pound on the implication of UK economic stability. Are GBP/EUR Exchange Rate Losses ahead on Slowing UK Production Levels? Although the Pound to Euro (GBP/EUR) exchange rate could rise on Friday’s UK GDP data, any Sterling advance could be tempered by other ecostats out on the day. UK data that might drag the GBP/EUR exchange rate down will include manufacturing and construction sector output. These ecostats have broadly been forecast to print negatively, which might mean that any Pound to Euro gains from the GDP data are limited. June’s year-on-year construction activity reading is expected to show a slowdown from 1.6% in 2017 to 0.4% in 2018. To a lesser extent, June’s annual manufacturing output reading is also tipped to slow with a shift from 1.1% growth in 2017 to 1% in 2018. Monthly manufacturing output levels are also anticipated to slow, so the implication of slower sector activity could limit any Pound Sterling gains seen next Thursday. Next ArticlePound to Canadian Dollar Exchange Rate Forecast: Could UK Growth Help GBP/CAD Recover from Six-Month-Lows?